If you think you are in the marketing business, think again. 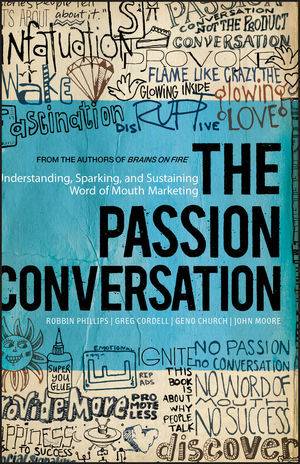 You’re in the people business, and The Passion Conversation teaches you how to get people to fall passionately and madly in love with your organization or cause. The author’s mash-up of the latest in wonky academic research with practical, real-world stories shows how any business can spark and sustain word of mouth marketing. Readers learn how loving your customers results in not just building a thriving community, but also driving meaningful conversations, ultimately impacting the financial success of a business.